Definition “chump”: A foolish or easily deceived person. Why are so many people taken in by climate alarms? The question is often on my mind, especially when tens of thousands attend UN conferences like Katowice, or when hearing the caterwauling in the media over the climate scare of the week. 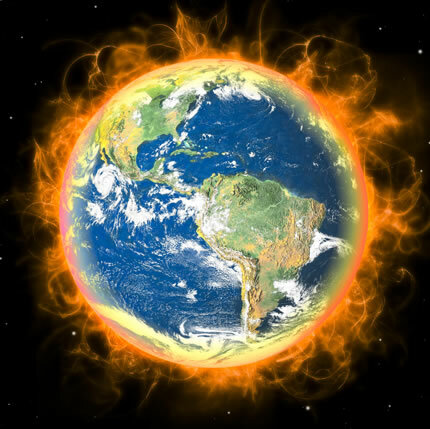 Last night while watching a football game, my escape from the issue was interrupted by a commercial break that included a flaming earth on the screen for a few seconds. It was an ad for Discovery Channel including the image above. And in a flash I realized how several factors are driving warming suckers into a fearful frenzy. Firstly, The power of images over words and thinking.